A Preterist Commentary on Revelation 18: Summary and Highlights–Two Cities become One Flesh. . . In this Preterist commentary on Revelation 18 John continues to predict and describe the fall of Babylon which was fulfilled in the first century in a remarkably accurate manner in the fall of Jerusalem. Revelation 18 Preterist Commentary: The Fall of Jerusalem in A.D. 70 . . . In A.D. 70, thousands of Roman soldiers and auxiliaries from across the Euphrates converged on the city of Jerusalem. And like ancient Babylon, Jerusalem fell having been overcome to a large part by the passage of its enemies across the Euphrates. 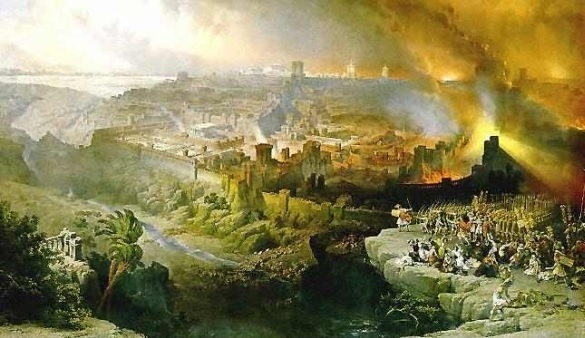 Largely because of the similarities in the way in which these two cities fell, the author of Revelation draws heavily from predictions in both Isaiah and Jeremiah concerning the fall of Babylon while describing the destruction of Jerusalem (Isaiah 48:20; 47:8-9; Jeremiah 51:6-7; 50:8; 51:6; 51:63-64; 51:49). Revelation Fulfilled, An Exposition, Interpretation and Commentary of Revelation 18: Harlot Babylon is a Symbol of the Law and the Unfaithful People of the Old Covenant Temple System in the same way that the New Jerusalem of Revelation 21 and 22 Represents Post-War Christian Jerusalem and the Christian Church, the Faithful People of the New Covenant. The destruction of Jerusalem not only caused an economic crisis, it also had major religious implications. With the demolition of the Temple, major aspects of the Law of Moses, including animal sacrifice, could no longer be practiced. God seemed to have rejected the old covenant system and its people. A Realized Eschatological View and Commentary of Revelation 18: The Fact that All the Nations have Drunk of the Wine of Babylon’s Adulteries in v. 3 Points Back to Revelation 17:1-7 and Jerusalem and Rome’s Joint Persecution of the Saints. According to the Gospels, both Jerusalem and Rome took part in having Jesus killed. Then after Jesus’ death and resurrection, both cities perpetuated their murderous inclinations by killing Jesus’ followers. In Revelation 17:1-7, Babylon is pictured as a woman drinking a cup filled with the blood of the saints. In v. 3, John reveals that Babylon had passed her drink to all the nations of the world. As stated in Revelation 17:15, “the nations of the world” specifically denotes the Roman Empire. This image of a woman sharing the drink containing her adulteries with the nations of the world points to the fact that Jerusalem was the first city to kill the Christian saints, having done so just after Jesus’ death (Acts 8:1-3), while Rome later partook of this cup having also killed Christians during Nero’s persecution in A.D. 64. For an explanation of how v. 3 also applies to Queen Berenice as the whore of Babylon in the flesh see the preterist commentary on Revelation 17:2-3. 4Then I heard another voice from heaven say: “Come out of her, my people, so that you will not share in her sins, so that you will not receive any of her plagues; 5for her sins are piled up to heaven, and God has remembered her crimes. 6Give back to her as she has given; pay her back double for what she has done. Mix her a double portion from her own cup. A Preterist View and Commentary of Revelation 18: Christian Jews fled Jerusalem before its fall in Fulfillment of v. 4. The plea for God’s people to come out of Babylon in v. 4 echoes Jesus’ urgent instruction to leave Jerusalem in Luke 21:20-21: “But when you see Jerusalem surrounded by armies, then recognize that her desolation is near. Then those who are in Judea must flee to the mountains, and those who are in the midst of the city must leave, and those who are in the country must not enter the city.” The similarities between Revelation 17:4 and Luke 21:20-21 is yet another bit of evidence suggesting that Jerusalem is the whore of Babylon in Revelation. Preterist View, Interpretation and Commentary of the End Times and Revelation 18: Babylon is said to Fall in “One Day” in Verse 8. In Light of V. 10, This Day is Not Likely Literal. Preterist Theology, A Commentary of Revelation 18: According to Isaiah 54:5, Israel was in a marriage covenant with God. Jerusalem became a widow by killing Jesus Christ, her God and spiritual husband. Isaiah 54:5 indicates that Israel was in a marriage covenant with God. Jerusalem became a widow by killing Jesus Christ, her God and spiritual husband. Babylon, representing Jerusalem, denies this fact in v. 7 when she says, “I am not a widow,” because Jerusalem did not recognize the fact that Jesus was her God and spiritual husband when she had Him crucified. Preterist Eschatology and Commentary of Revelation 18: Contrary to Her Boasting in v. 7, Queen Berenice, the Whore of Babylon, was Widowed Twice. Furthermore, Her Name means Victorious, an Ironic Name for the Human Representative of a City so Famously defeated by its Enemies. Preterist Bible Commentary on Revelation 18: Jerusalem Burned in A.D. 70 in Fulfillment of v. 8. In fulfillment of Revelation 17:8, the city of Jerusalem was ultimately destroyed and burned in A.D. 70. Concerning the great mourning predicted in Revelation 18:8-11 at the burning of the city and its temple, Josephus remarks that the city “broke out into groans and outcries again: Perea did also return the echo, as well as the mountains round about [the city], and augmented the force of the entire noise.”9 The mourning of the rich over the burning of Jerusalem fulfills James 5:1-5. In these verses, James warns that the rich shall lose their wealth in the last days. This loss of wealth is described in detail throughout the remainder of Revelation 18. The kings of the earth of vs. 9-10 who share in Jerusalem’s adulteries, see the smoke of her burning and mourn is fulfilled, at least in part, by Agrippa II and Queen Berenice. Agrippa II was governor of the tetrarchy of Philip, Lysanias, Varus,10 large parts of Galilee and Perea and was also responsible for appointing the Jewish high priest whom he sold to the highest bidder. At the destruction of Jerusalem and the Temple no doubt Agrippa II mourned greatly the loss of this substantial source of income. 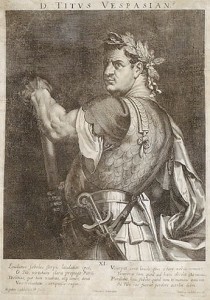 At the outbreak of the war Agrippa, a former king of large parts of Israel, allied himself with the Romans and accompanied Titus during the siege of Jerusalem.11 Interestingly, rumor had it that Agrippa II also had an adulterous affair with Queen Berenice, the embodiment of the whore of Babylon, prior to the start of the revolt against Rome in literal fulfillment of v. 9: “When the kings of the earth who committed adultery with her and shared her luxury see the smoke of her burning, they will weep and mourn over her [emphasis mine].” Queen Berenice also accompanied the Roman army during this siege. The siege of Jerusalem. As a consequence of this siege, Jerusalem was burned to the ground. Roberts, David. The Siege and Destruction of Jerusalem by the Romans Under the Command of Titus, A.D. 70 . 1850. Yeshiva University Museum, New York. 12cargoes of gold, silver, precious stones and pearls; fine linen, purple, silk and scarlet cloth; every sort of citron wood, and articles of every kind made of ivory, costly wood, bronze, iron and marble; 13cargoes of cinnamon and spice, of incense, myrrh and frankincense, of wine and olive oil, of fine flour and wheat; cattle and sheep; horses and carriages; and bodies and souls of men. 14They will say, “The fruit you longed for is gone from you. All the riches and splendor have vanished, never to be recovered.’ 15The merchants who sold these things and gained their wealth from her will stand far off, terrified at her torment. They will weep and mourn 16and cry out: “‘Woe! Woe, O great city, dressed in fine linen, purple and scarlet, and glittering with gold precious stones and pearls! A Full Preterist View and Commentary of Revelation 18: There was almost no Limit to what could be purchased in the Markets of Jerusalem. A Covenant Eschatology Interpretation and Commentary of Revelation 18: Merchants surely mourned over the Fires that devastated Jerusalem in 70. First century Jerusalem was one of the riches cities in the world. Thus the fall of such a great city would have certainly harmed the livelihood of seafaring merchants as implied by Josephus’s words above and predicted in Revelation 18:12-16. 20 Rejoice over her, O heaven! Rejoice, saints and apostles and prophets! God has judged her for the way she treated you.’” 21Then a mighty angel picked up a boulder the size of a large millstone and threw it into the sea, and said: “With such violence the great city of Babylon will be thrown down, never to be found again. A Realized Eschatology Exposition and Commentary of Revelation 18: The Millstone cast into the Sea represents the Fall of Jerusalem in A.D. 70. The boulder cast into the sea in v. 21 represents the fall of Jerusalem in A.D. 70. The descent of this boulder into the sea appears to be a flood metaphor representing the destruction and conquest of Israel, the earth, by the sea, Rome. See In the Bible “Earth” Signifies the Specific Land Addressed While “Sea” Symbolizes Foreign Nations. The fact that this stone representing Jerusalem is submerged in the sea seems to hint at the return of Jerusalem and Israel to the desolate water world state of the earth before its creation in Genesis 1:1-9. The fact that Jerusalem and Israel are reduced to this primordial, precreation state symbolizes the destruction of the earth, Jerusalem and Israel, often foretold in Biblical prophecy. This motif also pictures the destruction of Jerusalem and the death of its people as a stone descending into the sea or Abyss, the land of the dead. As the sea, Rome is also a symbol of the Abyss, the underworld, since Rome’s conquest of Jerusalem resulted in the deaths of thousands of its people. See The Poetic Biblical Link Between “Sea” and “Abyss”. 22 The music of harpists and musicians, flute players and trumpeters, will never be heard in you again. No workman of any trade will ever be found in you again. The sound of a millstone will never be heard in you again. 23The light of a lamp will never shine in you again. The voice of bridegroom and bride will never be heard in you again. Your merchants were the world’s great men. By your magic spell all the nations were led astray. Preterism Explained and Interpreted, A Commentary of Revelation 18: “The Voice of Bridegroom and Bride will never be heard in You again” and Queen Berenice’s failure to marry Caesar Titus . . . In A.D. 75, Queen Berenice came to Rome and the couple resumed their affair. According to Cassius Dio, “She expected to marry him and was already behaving in every respect as if she were his wife; but when he perceived that the Romans were displeased with the situation, he sent her away.”17 When Titus became emperor of Rome, Berenice again came to her former lover’s palace but was quickly dismissed yet again.18 What happened to Berenice after her rejection is not known;19 however, in light of vs. 7 and 23, it would seem that she died a widow in mourning. A Preterist Exposition and Commentary of Revelation 18: Revelation 18:23 also Symbolizes the Death of Christ and the Departure of the Christian Church before the Fall of Jerusalem in A.D. 70. The same message is conveyed at the beginning of v. 23: “The light of a lamp will never shine in you again.” This lamp, like the bride and bridegroom, also represents the Body of Christ, Jesus and His church, as illustrated in Revelation 1:20 and 21:23: The seven stars are the angels of the seven churches, and the seven lampstands are the seven churches [emphasis mine] (Revelation 1:20).” “The city does not need the sun or the moon to shine on it, for the glory of God gives it light, and the Lamb [Jesus Christ] is its lamp [emphasis mine] (Revelation 21:23). Preterism, A Commentary of Revelation 18: According to Luke 13:33, “[N]o Prophet can die Outside of Jerusalem!” In v. 24 Babylon is Charged with the Deaths of the Prophets; therefore, Babylon must be Jerusalem. 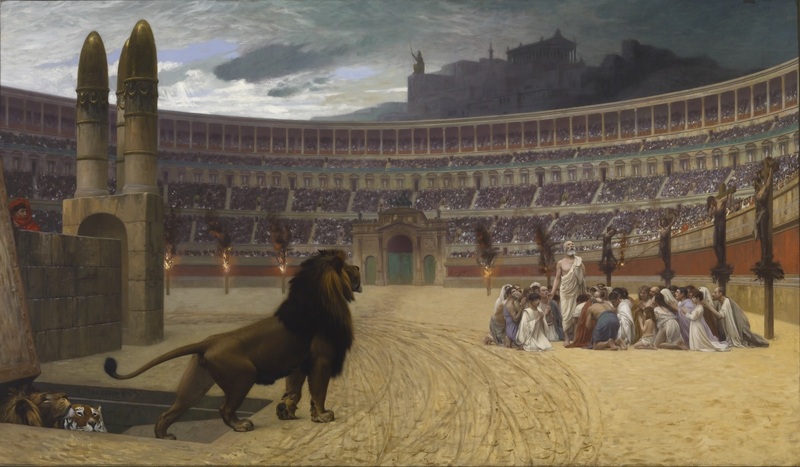 Though Jerusalem is blamed for the deaths of the saints, one must not forget that Rome also played a role in many of these executions. Remember Rome implemented the execution of Jesus Christ at the Jews request and later killed many of His people in A.D. 64 during the Neronic persecution. Above we detailed the fulfillment of Revelation 18 in the fall of Jerusalem. 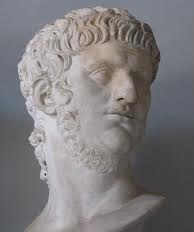 However, there may be an interesting way in which Revelation seems to imply and history seems to confirm that Revelation 18 may have had a dual fulfillment in the temporary fall of the Roman Empire after the death of Nero from A.D. 68 to A.D. 69. See Could Revelation 18 Also be Partially Fulfilled in the Death of the Beast and the Temporary Fall of Rome After the Death of Nero?. In the next chapter, John describes a battle between good and evil. At the start of this struggle, John is given a vision of the second coming. Here he sees Jesus riding a white horse leading the armies of heaven into battle. In Iyyar of A.D. 66, a ghostly phenomenon was seen in the sky over Israel. What did these people see? Neither Tacitus nor Josephus new what to make of this specter. Did these two historians record the second coming? As stated in this preterist commentary on Revelation 18, the fall of Babylon is fulfilled in the fall of Jerusalem in A.D. 70. Josephus The Wars of the Jews Preface 2, 6.6.2; Kenneth L. Gentry, Jr., Before Jerusalem Fell: Dating the Book of Revelation (Powder Springs, GA: American Vision, 1998), lxvi. For evidence that Babylon also represents the Temple system and the unfaithful old covenant people see Duncan W. McKenzie, Ph.D., The Antichrist and the Second Coming: A Preterist Examination Volume 2: The Book of Revelation (USA: Xulon Press, 2012), 203-286. The fall of Babylon is, I believe, also fulfilled in the death/fall of the beast. Acts 25:23; Josephus Antiquities of the Jews 20.7.3. Josephus Antiquities of the Jews 19.5.1, 20.7.3. Pamela McQuade and Paul Kent, The Dictionary of Bible Names (Uhrichsville, O.H. : Barbour Publishing, 2009), 74. Josephus Antiquities of the Jews 20.7.1. Steve Gregg, ed., Revelation: Four Views a Parallel Commentary (Nashville: Thomas Nelson Publishers, 1997), 436, 438. Arthur M. Ogden, The Avenging of the Apostles and Prophets: Commentary on Revelation, (Pinson, AL: Ogden Publications, 2006), 340. Don K. Preston, Who is This Babylon?, (Ardmore, OK: JaDon Management Inc., 2011), 257. Because the sea represents Rome, the people who earn their living from the sea may be a metaphor for the Jewish elite who received their authority from Rome, the sea. It was the Jewish elite that received their authority from Rome that plotted to have Jesus killed fearing that they would lose their jobs and perhaps even their lives if Jesus became the sovereign king of Israel. Josephus The Wars of the Jews 3.3.5. Suetonius Lives of the Twelve Caesars 11.7. John A. Crook, “Titus and Berenice” The American Journal of Philology 72 (1951): 162-175. Dennis LaValley, Revelation: Beyond the Cross, 3rd ed. (2014), 337. This verse is very similar to Jeremiah 51:49. In this verse, the prophet writes, “Babylon must fall because of Israel’s slain, just as the slain in all the earth have fallen because of Babylon.” Just as Babylon had killed everyone in the land of Israel, Jerusalem had killed all the prophets.